HTC introduced few days earlier, one of its new terminal, formerly known as the HTC Proto, although the new name we sound, and much, here is the brand new HTC Desire X smartphone. This new Desire smartphone is a device aimed at the midrange market that strip all manufacturers want to cover exposing as many phones. Most of the specs and features of this HTC Desire X smartphone is discussed below. Can they go together power, design, elegance and affordability? The answer is yes. 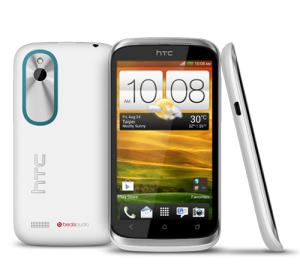 The new HTC Desire X is not just a pretty face, but it comes with a Qualcomm Snapdragon S4 processor of dual core at 1 GHz of power, a display of 4-inch Super LCD, with a resolution of 800 × 480 pixels, measures of 118.5 x 62.3 x 9.3 mm and 114 grams weight. This HTC Desire X will be released with the penultimate version of Android, Ice Cream Sandwich (4.0.4. ), and imagine that in a future update to Jelly Bean, though HTC has not said anything about it, also will feature the unmistakable customization Sense 4.1. Include 768 MB of RAM and 4 GB of internal storage expandable via card microSD. Connectivity includes Bluetooth 4.0, WiFi 802.11 b / g / n, DLNA, ambient light sensor, proximity sensor, internal antenna GPS and stereo audio jack of 3.5 mm. 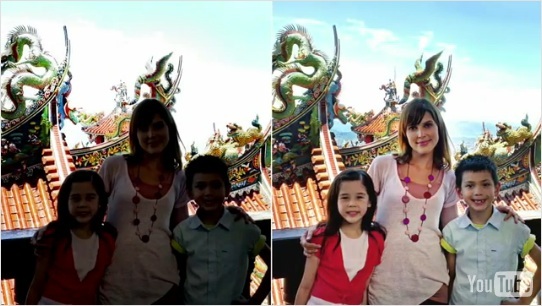 In the multimedia section, you will find a camera of 5 megapixels with autofocus, LED flash and BSI sensor for improved image capture in low light conditions in HTC Desire X. The objective is 28mm and has an aperture f2.0. You have no ability to record video in high definition, so you need to compromise with QVGA resolution. There VideoPic with what we can take pictures while recording video, includes burst mode with which, with one touch, shoot 2.5 frames per second , and SmartFlash, it is flash five different levels according to the Object distance. We cannot forget technology Beats Audio, which include several HTC for over a year and we will hear studio-quality music. There is a lithium ion battery in HTC Desire X which is removable, something we cannot presume that all terminals 2012. Finally stays at about 1650 mAh with which you can get the long battery life. Yes, according to HTC, it can offer a 10 hours talk time. Finally, and as usual with the Taiwanese, the purchase of this terminal includes 25 GB of free online storage for two years in Dropbox. According to HTC in a press release, this HTC Desire X will be available in selected markets in the month of September 2012. They have also confirmed that the price will be 329 Euros and will be available in two colors: black and white.